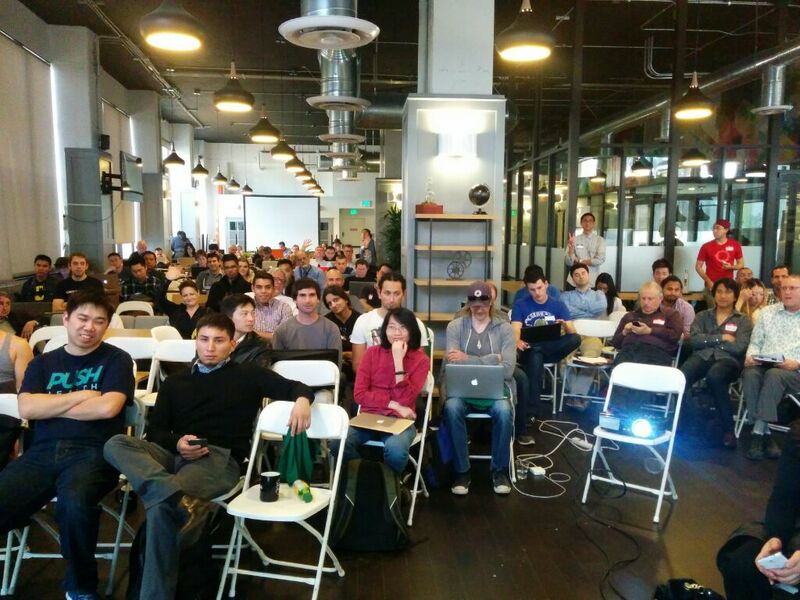 At the end of February IBM hosted its first open developer community conference called Index in San Francisco. At the conference I was helping as a “room captain”. My duties included greeting the speaker, and ensuring the video/audio equipment was running smoothly as all the talks were recorded. Pretty simple 😉. The conference had a number of very interesting sessions that I wanted to attend and most of them were in the same track – The Rise of the Human Side of Technology. This worked very nice as I volunteered to be the room captain for sessions that I actually wanted to attend. Below you will find the session I attended and links to videos. I highly recommend you watch the videos as all the talks were great. Bear Douglas Lead Developer Advocate at Slack, in her talk Getting out of the bubble with global developer communities, covered strategies for planning and executing your first global developer tour – particularly in regions where you are less connected or unfamiliar with your developers. Watch the session video. Alaina Kafkes Software Engineer at Medium, in her talk Tackling Technical Writing, covered empathetic, accessible, and thorough technical tutorials & blog posts break down tech’s barrier to entry and foster inclusion. Alaina shared actionable pointers to get people started with technical writing. Watch the session video. Stephanie Morillo Content Manager at DigitalOcean, in her talk Creating a Sustainable Documentation Framework for Open Source Projects, discussed how content strategy inspired me to think beyond writing & editing Bundler’s docs, to thinking of docs as a product in itself. Watch the session video. Sandra Person Global PM at Mozzila, in her talk Reflections on the Mozilla Developer Roadshow Journey talked about spending 10 months on the road collaborating with global partners and local meetups, influential speakers and freshly minted contributors, to bring over 57 Developer Roadshow programs all around the world. Watch the session video. The following session is from Programming languages and platforms track. Amahdy Abdelaziz, Developer Advocate at Vaadin, in his talk on Dismantling a Progressive Web App, demonstrated how you can actually build modern web applications that qualify as “Progressive Web Apps”. Watch the session video. Of course there were many other great session and you can watch them all on the IBM Code YouTube channel. I will be at Mobile Camp LA on Saturday to show how to build hybrid apps fast with Appery.io. If you are in the area, definitely check it out. The 1-day conference has a pretty awesome schedule. As part of AT&T Bootstrap Developer Week, I will be showing how to build a complete HTML5/hybrid mobile app with Appery.io cloud platform. This is an excellent preparation for the AT&T Summit hackathon January 3-4, 2015. Appery.io is a cloud-based platform with visual development tools and integrated backend services. 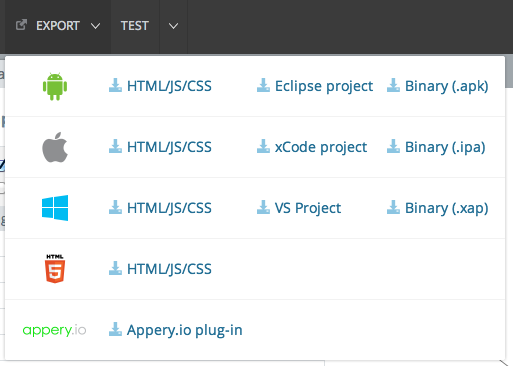 With nothing to install or download, Appery.io allows rapid HTML5 and hybrid app development entirely in the cloud. 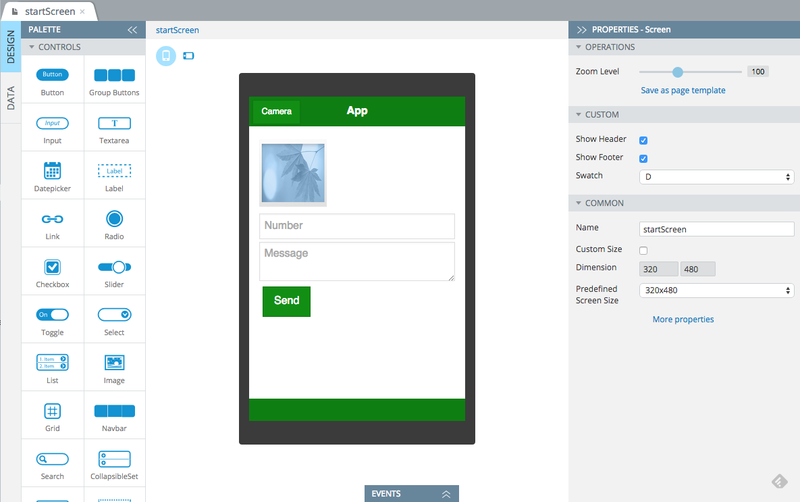 In this session you will learn how to build a complete mobile app. 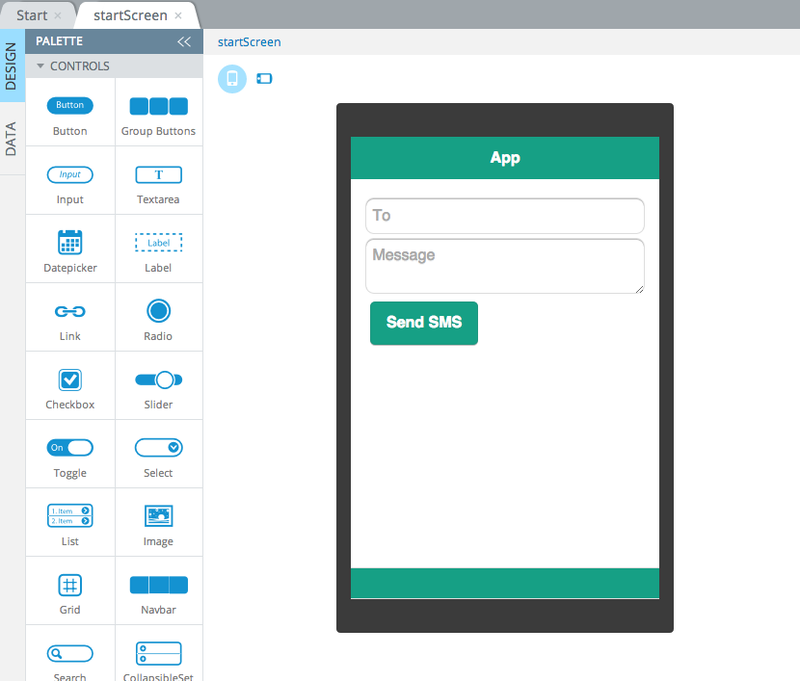 We will build the app UI using a visual drag and droop editor, connect to an API backend, and use Cordova for native device features. 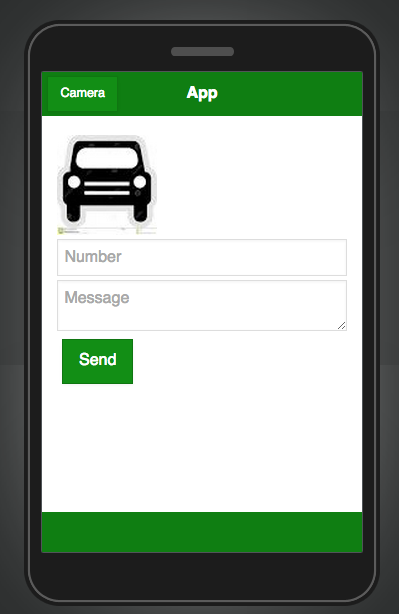 We will then test and deploy the app. This is a live coding session where attendees will be able to test the app as it’s being built. Register to attend this online tutorial. I will be at ModevCon in Washington, DC December 11-12 showing how to use cloud tools to build enterprise mobile apps fast with APIs fast. Friday, December 12, 11:30am ET. Gone are the days where you can afford to take months to build an enterprise mobile app. In today’s fast market, you need to be able to prototype the app in a few days, release the first version in a few weeks, get feedback, fix bugs, release the second version. Repeat. In this session you will learn how to build a real HTML5/PhoneGap mobile app that talks to an API backend. You will be able to test the app on your phone. We will use the Appery.io mobile cloud dev. platform to build the app. Appery.io allows building enterprise HTML5/PhoneGap apps connected to any APIs entirely in the cloud, and very fast. With the ever-quickening pace of mobile, staying up-to-date on the latest APIs and SDKs is essential for any developer or business. Now in its fourth year, ModevCon (formerly ModevEast)—happening December 11-12, 2014 in Washington, D.C.—is must-attend for anyone developing, designing, and marketing mobile apps, websites and related products. For two intensive days, we’ll put you face to face with the world’s foremost industry experts to teach you the the latest methods, tools, and best practices for the industry’s most important development platforms. Register and use FOS14 code good for 25% off. Enterprise APIs need to both deliver value and deal with the tough constraints of the enterprise environment. These talks cover different dimensions of how to navigate the constraints and generate genuine progress for the enterprise by deploying APIs. and was moderated by Mark Cheshire (@MarkCheshire), 3Scale COO. Appery.io cloud development platform solves these problems. 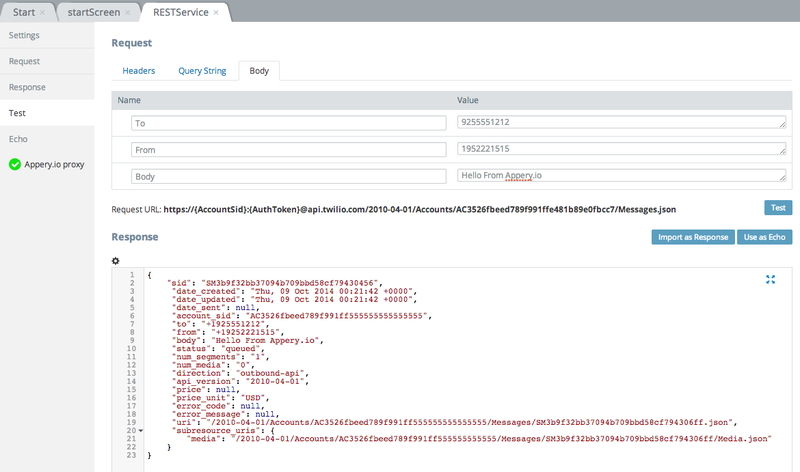 Appery.io makes building enterprise mobile apps with any APIs very fast, entirely in the cloud. 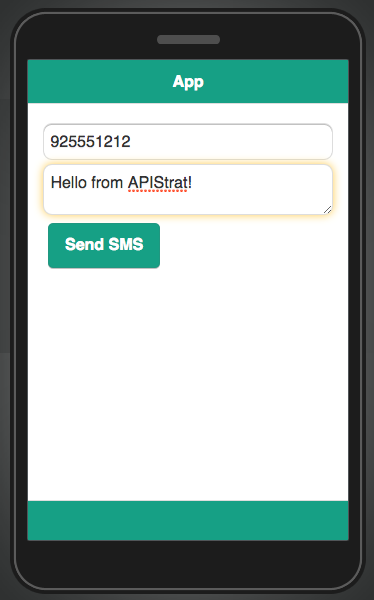 To demonstrate this, I used Twilio API to build a one-page mobile app where you can send SMS messages to any phone number. The app was built in under 5 minutes. The next API Strategy and Practice is going to be held in Berlin in Spring 2015. I definitely recommend this conference to learn about the API ecosystem. I like a small conference atmosphere. A small conference allows to have more conversations, discussions, and networking. If you are at the conference and would like to meet and chat about APIs, mobile development, adding your API plugin into Appery.io — just ping me. View the rest of the agenda.